Vending by JSR are proud to announce we have installed the first Fresh Food Vending machine in Cookstown Norther Ireland. 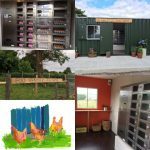 Fenella Turkington of Tullywiggan Road has taken the bold step and installed a Fresh Food vending machine in a shipping container at her farm road end in Cookstown Northern Ireland. Fenella has been in the egg industry for many years and now at home running the family farm she felt this technology was exactly the thing to boost her own egg sales. With rising cost of production and prices from her egg packer being reduced Fenella wanted to boost her sales in the local community to add value to the business. With the eggs in the machine only being hours old people have been flocking to the machine since the first opening day. Customers really like the fact they can get the freshest eggs at supermarket prices. her two daughters have been heavily involved in designing the interior of the container and also with the restocking and operation of the machine. Fenella said “the girls have been kept busy from day one refilling the machine. It really has been a surprise how quickly people have taken to using the machine and sales have been great. We will have a full case study up on this web page in the next week or so reporting how the machine is doing.